"I somehow believe its better to be single than be in an unhappy marriage. " - I have seen couple or more spinsters in my life. But specifically my school teacher, a spinster, was courting what in being unmarried. However as years passed on, now she is in early 40's. She feels bit alone and her life looks a virtual question mark after her parents(Even though sisters family, relatives visit her) On day to day basis she needs a person to care. And another person was my office librarian .. who is leading a happy unmarried life .. one reason was she is in a joint family kind of environment. Hence things were relatively smooth. But even then people (esp brother's wife) take her for granted saying that "avalukku enna irukku - oru vidhamaana elakaaram" And as we all know there are unhappy married life, divorce etc in this society. In my opinion unmarried life is bliss only for a few people who are mostly blessed with good people around them. I am nearing my 30's and I would marry someone (or preferabbly ...) for sure. Yet my aunt normally persuades me for marriage in every call. Her concern is you need a better half (best before you complete 28). Unmarried or married a person may be, may god bless everyone a happy life. I couldn't stop laughing while reading this blog, though you were not writing this for an entertainment value.You mentioned here, X1 and X2 believe that your tweets are indirectly for them. As a follower(twitter), I havn't seen any particular tweet(s) on Ur timeline for this kinda people. Dn't know whether you do tweet to them secretly:P.And you said, 'please do follow your head' I loved that words.Everyone just feel,not think properly. Hereafter everyone would start to ask 'Dn't you intend to marry?' :p Anyway, please dn't reply to these type of mails which you r getting. There is always a point of getting tired. Follow your head, that never be wrong. Prayers!! We marry not the individual but the families too- very true. Something that I failed to realise b4 marriage. Life will be very difficult if you are not able to understand and accept what you get. As you rightly said we need to think a lot and get our priorities right before wedding itself. Being single..!! I like that..!! sis..first of all i.m sorry...i too have tweeted u one time as "i want to see ar rahman ,please say me a way" like that...and disturbed you...hope you ll forgive me..and a small advice..rather tan creating awareness just complaint abt this two stupids who i think are not valvuable to live in this world..disturbin others...i too have seen my friends get abused..hope god ll teach them a lesson..be happy sis..
"Marriage market" lol...well written mam. Wish all of them could think lik u do.ofcourse obviously older generation !! your thoughts have been penned down perfectly !! but marriages happen-if they have to. destiny- you cannot escape what's written. Visibility on the virtual domain for a celebrity sure can be a nuisance. THe best way to handle such crazy mails is to , if possible, ignore. Any response, good, bad or otherwise, is only going to encourage more e-mails from the sender. May you be blessed with lot of good luck in handling such mails (which am sure there would be manu) in the future. These x1 and x2 are seriously crazy. I can only say that you have immense patience! Yes, when you marry, you marry the person and also the family. While when you meet the person it may seem that he is the right person, once you start living with that person, even the way he brushes can make you cringe..and there it will start... and before you realise all hell will break loose! While we hindus/may be indians in general, talk about marriages, we do everything else around the couple, but no one talks about what is important for them (guess christians have a course that they complete before marriage and I think it prepares them a little)..
Whatever it is, if everything works out and you get married, my philosophy is in a successful marriage the couple COMMUNICATE. Men are from mars.. and all such books/articles, are not just jokes. There really is difference between the male and female thinking and it always help to clarify instead of assume. And ofcourse the thing of deal with issues in YOUR way, never bring a third person in the loop unless there are other issues like abuse. Older generation - mostly, IMO it worked because their directions were simple - live with it.. whatever it is..So mindset WAS to accept it without questions. Our generation, we can make a learned choice (good or bad is a different thing altogether)and decisions are solely ours. And ofcourse, stick to what your mind/heart says and dont succumb to anykind of pressure. reading ur blog after a long gap. remember reading it when u started blogging. glad you have your spirits intact. keep it up and explore life as it unfolds. hugs girl. I wish you also put the same effort on how women/men go about their life without getting married. You will have more surprises. Promise. Especially those who are above 40-50.
btw.. I agree some of the points which you've shared. 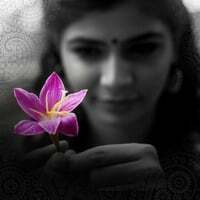 Hi Chinmayi, I am glad you wrote on this topic. I have smiliar thoughts on marriage as yours. There is no one solution that would work for all. As you mentioned, its best to follow all very own instinct since there is a lot that goes into that union of two individuals. Given your anthropological interests these days, the evolution and current divergence of preference for married vs single gets another perspective in Dr Shalini's serial of articles in Ananda Vikatan in 2010-2011, I think it was titled Uyirmozhi. hahahahahaha lol.seriously desperate guys.hapi belated birthday to u. In the past, I dint have the opportunity to explore this blog. Since I fall to be a Masters student at present, I enjoy my break hours reading your articles here. Your words & thoughts stand high!!! Appreciate the clarity and vision !!! Wish my parents read this and understands the "so called arrange marriage" concept. The cliche of aaayiram bharathiyar to aayiram chinmayi can b now used when i argue with my parents. Inspite of my appa working in media for the past 30 years; i failed in persuading in certain topics. The cliche of so called "aayiram bharathiyar to aayiram chinmayi" can b now used to argue with my parents. Kudos!! and keep up ur good work and spirit. One thought on ur first question that y all of a sudden all these marriage news n advice.. Its juz coz u r moving ahead in ur career (may be wth all d award showers for Saara kaathu) and its disturbing to some stupid ppl.. Only those wil start dis buzz n this tym only all relations wil sprout suddenly wth so called akkarai..
X1 and X2 - I remember seeing such phsyco characters in some movies:) Being single will definitely sound good but not for too long. Getting married, having children, facing problems will make you more strong and matured person. I truly believe there is no such happiness in this world than seeing your own child sleep in your arms and your child says, "I love you daddy/Mum". Being single is being oneself. Nothing to fake about, no one to please, follow one's heart and stay happier. And if there is someone who can put up with all that we are, and we able to accept the person too, consider lucky and marry. Indeed, you lead an interesting life ! Am sure your autobiography would be a best seller ( Your blog following already forecasts it)..By the way, I've heard so many stories from my grandmas' lives and the characters in their families that it could help make a wonderful mega serial ! Why don't you start a cartoon series, like the Dilbert kinds, since you see so many specimens? When my grandma narrates some episode from her trials, she sums it up saying "Siricha dhaan aarum, azhudaa aarave aaraadhu" - words which still echo in my mind..I hope and pray almighty that you be able to shrung it off ! So much for a life of a celebrity from a traditional family. Read your blog on and off, but now tempted to leave a comment. I have been through the rigmarole of "match-fixing" ;-) myself. Personally it was not an enjoyable experience. The longer we are in the game, the more painful it gets. There were some that wanted to "get to know you" for a few months, some whose parents came visited you (and you were expected to be a show piece, look pretty, sing etc), some who'd downright ask atrocious questions. That having said, the exercise does bring us to closer to a couple of very essential things we look for a in a husband. The peripheral , second level requirements dissolve away as time passes. I met my husband at a point of time when I was quite vexed with this whole process and had zilch expectations from a boy. I also believe one can never get "the perfect match". Although it might seem perfect to others eyes, there are some compromises that we will have to do. This should come from both sides. Life is all about adjustment and perspective. Wish you good luck in all your endeavors and may you find someone that appreciates you for what you are and is willing to support you every step of your life. Good to see you writing had been Off you blog for sometime but your facebook msg about the prof and hate msg pulled be back . Ya as much as being single is difficult getting married is also equally difficult these day . The very process of arranged marriage is so complicated . Love marriage don't even ask . Though I havent read the full post, its hard to be a popular personality. It has its own advantages and disadvantages. But yes it depends on how we manage the same. I am sure that you are more matured enough to handle all this. Just read in the news that you have taken some guys to court for vulgar tweets . I take my hat off to you , since these jerks generally think they can ghet away with anything . Celebs are easy prey , because many of their details including pics are available on the net . Cheers to you .